Girls worry about sexual harassment ‘every day’. A new study has highlighted the prevalence of misogyny in young people’s everyday lives. It found that three quarters of young people have been exposed to negative or offensive attitudes towards women in the last six months and 65 per cent of girls having faced some form of sexual harassment. ‘Harassment’ was defined as ‘unwanted or upsetting remarks or physical attention e.g. wolf whistling (a whistle directed towards someone to express sexual attraction or admiration), catcalling (a loud whistle or a comment of a sexual nature made to someone when they are passing by), negative comments about girls’ appearance, sexual jokes about girls, sharing explicit (e.g. naked) photos online, sexting, groping, upskirting (taking a photo up a girl’s skirt), or being forced to kiss someone. Just under half (48 per cent) of young people in the UK have faced some form of sexual harassment in the last six months – rising in India (57 per cent), Brazil (64 per cent) and Kenya (74 per cent). In the UK, 85 per cent of young women have ever worried about being sexually harassed. Two thirds (68 per cent) of young people (14‐21) surveyed, believe that the world is a more dangerous place for girls/young women than for boys/young men. The findings come from a study commissioned by ActionAid of 2,560 young people aged 14-21 in the UK, India, Brazil and Kenya to uncover when and where exposure to misogyny begins, and how widespread experiences of sexual harassment are during adolescence. More than one in ten (12 per cent) of even the youngest girls interviewed in the UK (aged 14-16) worry about being sexually harassed ‘every day’. Almost two thirds of 14-16 year-old girls and boys in the UK have witnessed misogynistic behaviour (such as negative comments about women’s appearance or sexual jokes about girls) from those around them – from family members and friends to strangers or teachers. And social media continues to be a damaging influence, where more than half (55 per cent) of young people questioned across the four countries have seen or heard women being portrayed in a negative or offensive way in the last month. A fifth of young people surveyed (a total of 523 participants across the four countries) say they have seen, heard or read about celebrities or other well-known people portraying girls/women in a negative or offensive way (for example, jokes made about the way someone looks, calling girls/young women offensive names, being dismissive of someone because they are female). Among those spontaneously named most frequently by those in this sub-sample group in the UK for behaving in this way were Donald Trump (18 per cent — 36 of 199 participants) and TV presenter Piers Morgan (6 per cent — 12 of 199). While nine out of ten young people in the UK believe that upskirting or being forced to kiss someone is unacceptable, young men are significantly more likely to find other behaviours such as groping or sharing explicit photos online acceptable compared to young women of the same age. In Brazil a higher proportion of young people than in the other countries studied felt it was because ‘they would think the person would find it complimentary or be pleased they found them attractive’. Whereas in Kenya a significantly higher proportion (45 per cent) felt it would be because they had seen similar behaviour on social media (India: 38 per cent, UK: 36 per cent, Brazil: 25 per cent). Confidence in reporting sexual harassment is high among this generation though. In the UK two thirds (66 per cent) of those who have been harassed in the last six months would feel comfortable telling someone, with two thirds of them already having done so. In Kenya 64 per cent would feel comfortable telling someone, rising to 74 per cent in Brazil and 79 per cent in India. Young people predominately believe that education is the answer. Overall 80 per cent support education as the way to tackle harassment of girls/women, backing educating boys in schools about how to treat girls (60 per cent), educating girls in school about how to report harassment (58 per cent), educating teachers about taking accusations seriously (45 per cent) and educating parents (41 per cent). Girish Menon, ActionAid Chief Executive, said: “This research shines a worrying spotlight on how many young people witness or experience sexual discrimination and harassment. 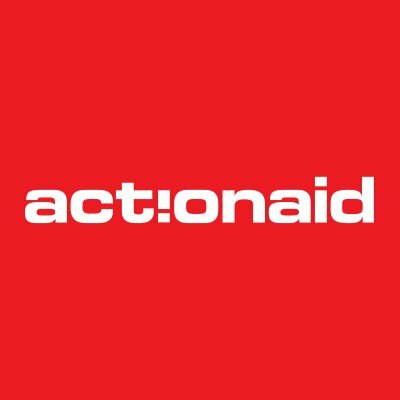 “In the countries where ActionAid works, we support local women’s groups who work with entire communities to challenge these societal norms and educate women and girls about their rights,” Menon continued. “But in order to make real progress, we need a uniformed, properly resourced approach to tackle the unbalanced power relations that prioritise male privilege and perpetuate gender inequality.